The Greater Chattanooga Region’s advanced and integrated transportation network supports the regional economy and offers a decided advantage for supply-chain investment. The area provides easy and cost-effective transportation to major metropolitan markets in the Southeast, Midwest, and Middle Atlantic, as well as seaports on both the Gulf Coast and Atlantic Ocean. 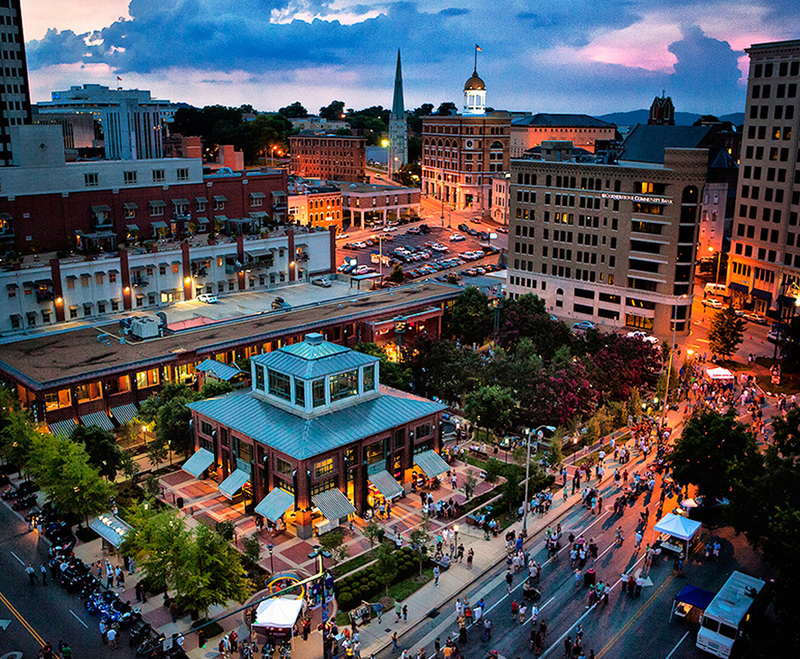 The Greater Chattanooga Region’s central location lies within an easy day’s drive of more than 131 million people. The advantage lies in the region’s 5-Star logistics, which feature ready-to-use infrastructure for road, rail, barge, and air shipping. 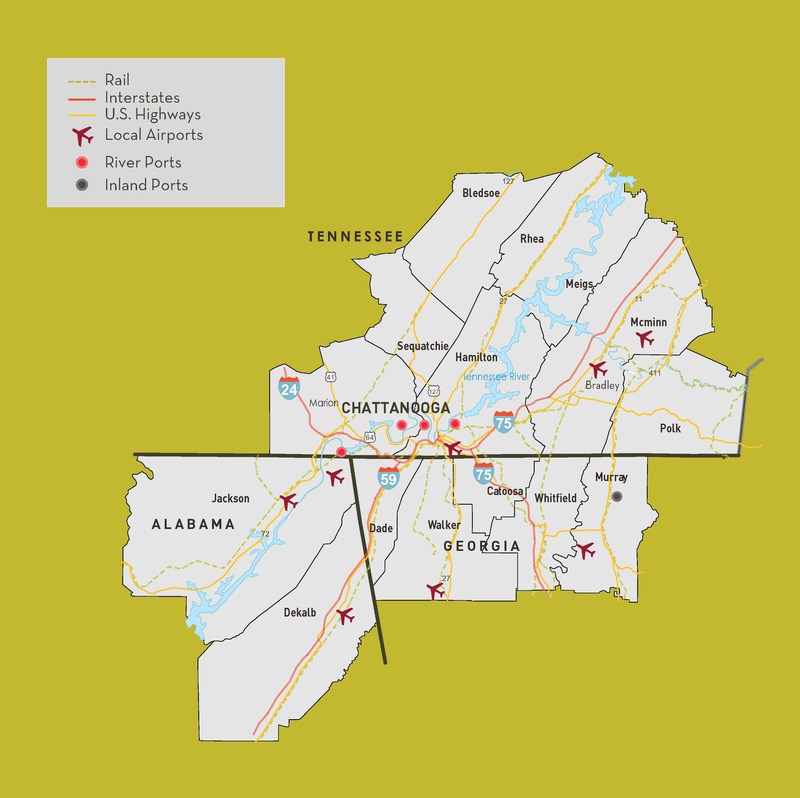 In addition, companies based in the Greater Chattanooga Region are conveniently located an easy day’s drive from one-third of the nation’s population. That’s more than 131 million consumers. With immediate access to I-75, I-24, and I-59, and close proximity to I-40, I-20 and I-65, the region is an ideal gateway to the rest of the United States. And being at the center of it all has several advantages, including easy connection to more than 150 transportation carriers including the headquarters of publicly traded trucking companies like Covenant Transport and U.S. Xpress. Companies in the Greater Chattanooga Region utilize CSX and Norfolk Southern for their rail needs. The Appalachian Regional Port will link the region to the Port of Savannah via a 388-mile rail route. The region’s largest airport, Chattanooga Metropolitan Airport, is home to four major airlines and offers one-stop service to Europe. Additionally, major airports in Huntsville, Birmingham, Nashville, and Atlanta are less than a two-hour drive away. Four public port terminals offer access to the Tennessee River and connections to 16,000 miles of navigable waterways such as ports in Mobile, Alabama, Savannah, Georgia, and New Orleans, Louisiana.